The S-line is a revolutionary series of fans that combine energy efficiency, ultra-quiet operations and a collection of advanced technologies that deliver unparalleled performances. 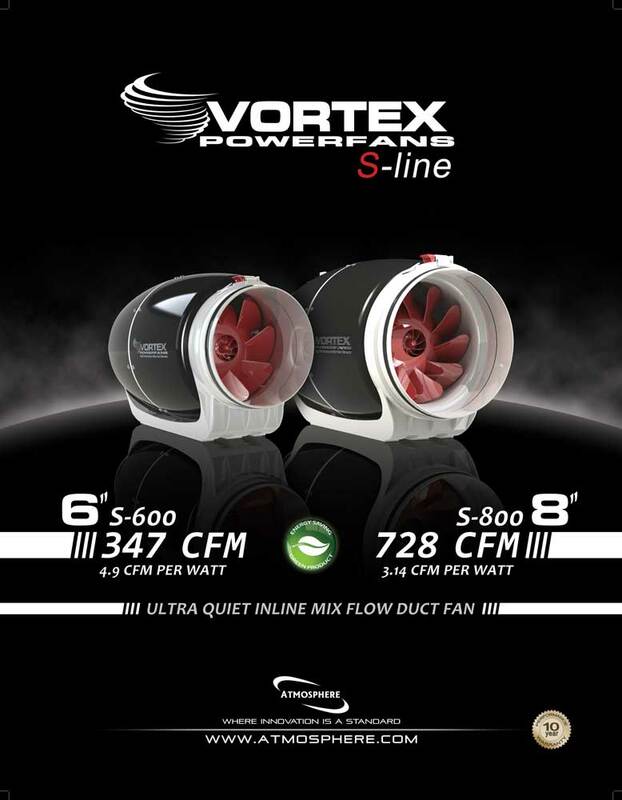 The NEW Vortex Powerfan S-Line Ultra Quiet fans are here. 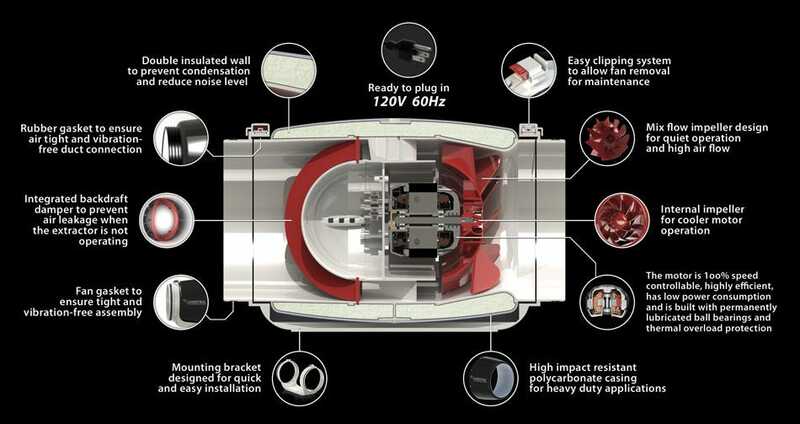 Introducing the quietest inline duct fan on the market, the Vortex S-Line is completely different from the competition, and specifically designed for the indoor grower. 70 watt @ 120v. Only 4.9 CFM per watt. Vortex fans require a solid state fan controller, The Dial-A-Temp Speed Control is endorsed by the manufacturer as the controller to use with Vortex S-Line. 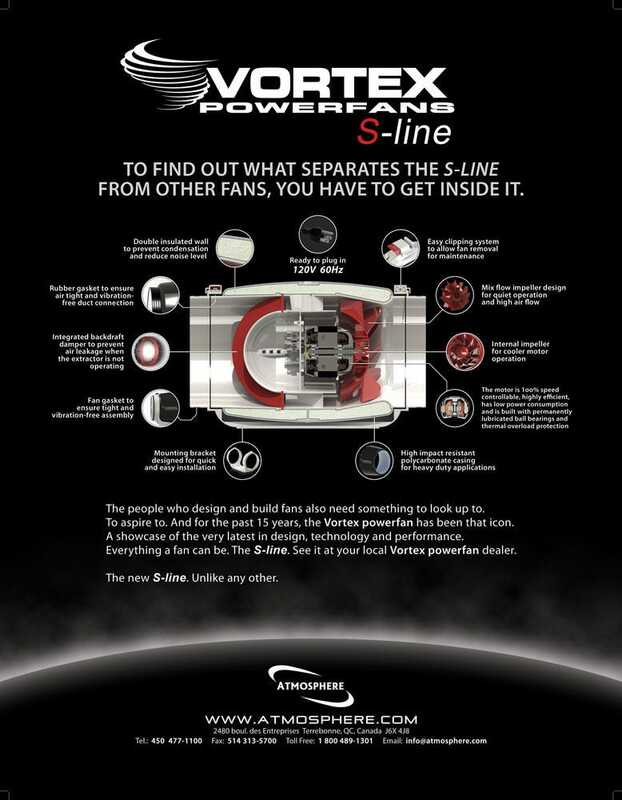 To Find Out What Separates The S-Line From Other Fans, You Have To Get Inside It. The people who design and build fans also need something to look up to. To aspire to. And for the past 15 years, the Vortex Powerfan has been that icon. A showcase of the very latest in design, technology, and performance. Everthing a fan can be.